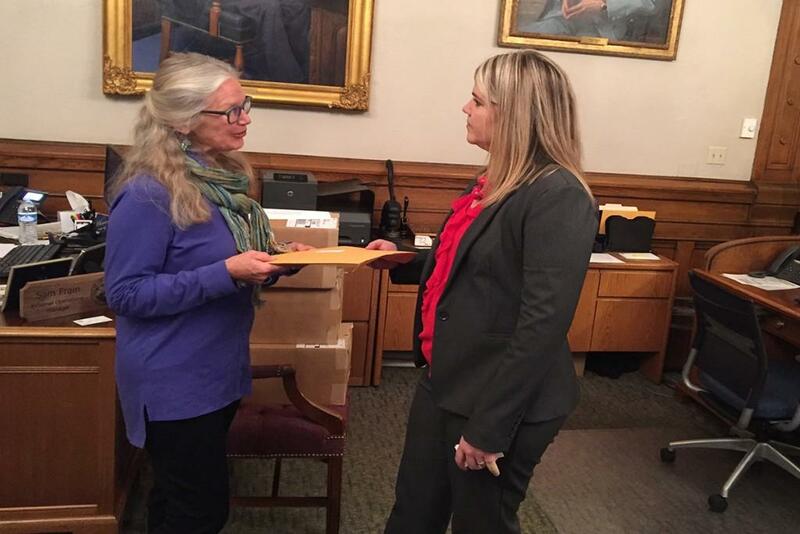 Last Thursday, retired biologist Leslie Bishop delivered a letter with 228 signatures to Gov. Eric Holcomb’s office. Bishop and other scientists say the state is logging too much and damaging a sensitive ecosystem. “Animals, plants, shrubs, mosses, lichens, fungi, microbes, you know, the whole soil system all the way up to the tops of trees, there’s this incredible diversity of organisms,” Bishop says. According to the Indiana Forest Alliance, commercial logging in state forests increased 400-percent since 2002. Bishop says the state needs to act quickly to protect older forests. “It’s like every single area that does have mature forest is being logged,” she says. The Indiana Division of Forestry will auction 300 acres of the Yellowwood/Morgan-Monroe State Forest Back Country Area, which has some trees that are 150-years-old. Department of Natural Resources spokesperson Marty Benson says the increase in logging is, quote, “due to historically low harvest levels a decade ago,” and that state forest recreation income is up even as logging rates increase.